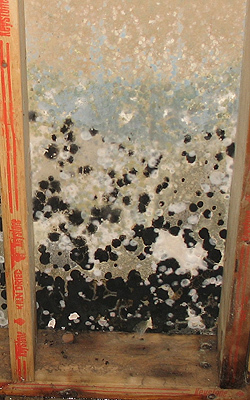 Mold is one of the most important topics in homeowners' minds in the new millennium. It's a very serious problem if you have mold in your basement or crawl space. If you have allergies or young children in the house, you MUST keep mold out of your home. Expediant can help you rid your house of mold. We serve areas of New York, Connecticut, New Jersey, Pennsylvania, and parts of Western Massachusetts. The New York Times reports that mold can grow in heating/air conditioning systems, around leaks or even hidden behind walls. The Times also reports that Mold can quickly become a nuisance by causing health problems ranging from itching eyes, sneezing and coughing to serious allergic reactions, asthma attacks and even permanent lung damage. 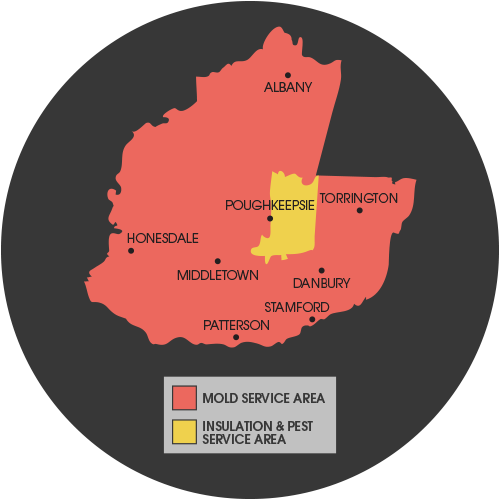 Expediant Environmental Solutions can help you solve your mold problems. Contact us now for a FREE inspection. The SaniDry™ Industrial Dehumidification and Air Filtration System dries out and filters the air to eliminate damp, musty odors. It is THE best dehumidification system in New York. The CleanSpace® Crawl Space and Basement Encapsulation System will stop moisture and mold from growing in your crawl space. The ThermaPureHeat system is a fumigation alternative that is chemical free and highly effective. Not only does ThermaPureHeat kill mold, but it prevents further mold growth. The system circulates odorless, DRY heat into your infested area to kill the mold or pests. This dry heat removes moisture within the structure, which in turn prevents mold growth. Learn more about ThermaPureHeat.